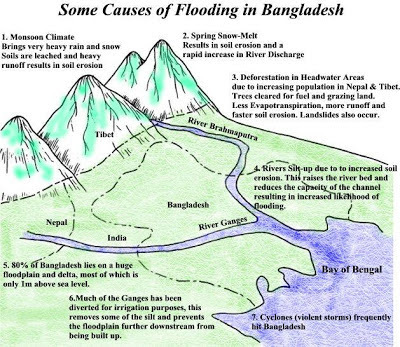 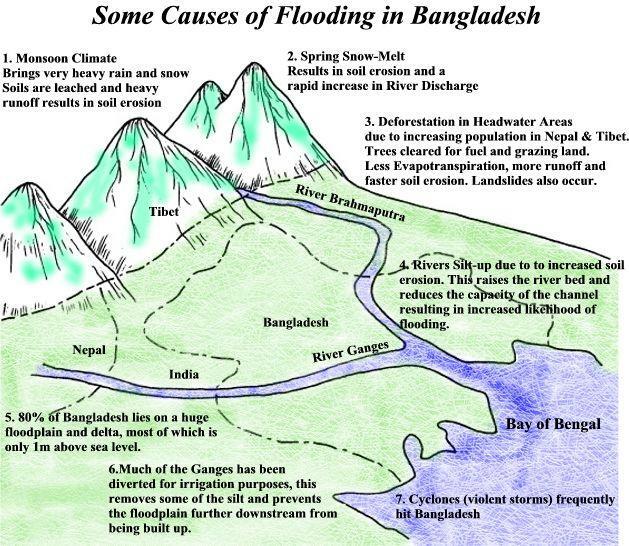 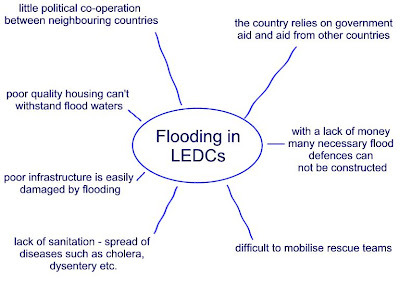 Lack of sanitation and clean water supplies resulting in further loss of life during floods through the spread of diseases such as cholera, dysentery etc. 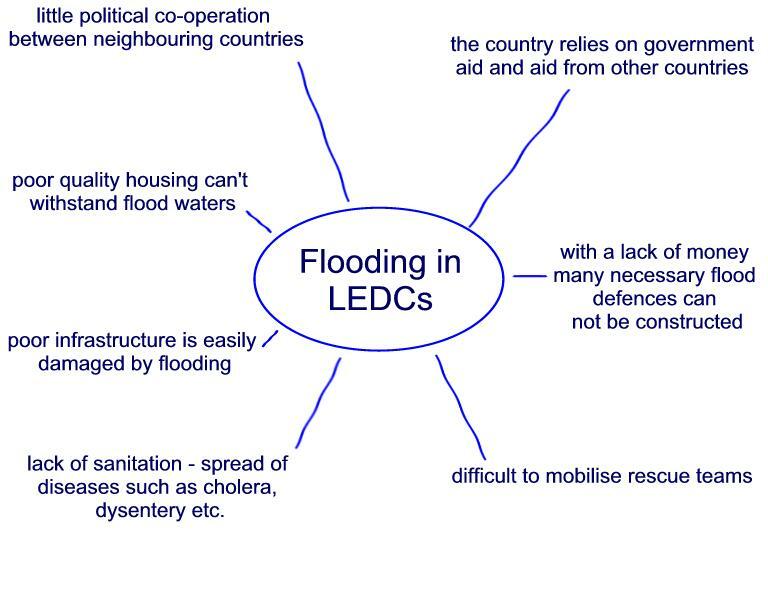 In order to tackle poverty the government have focused much of their funds on improving exports - again reducing the money available for flood protection. 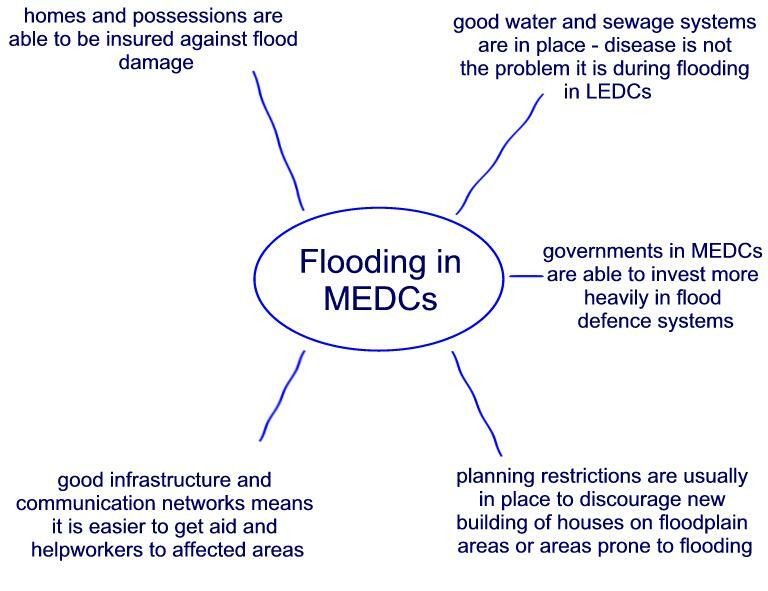 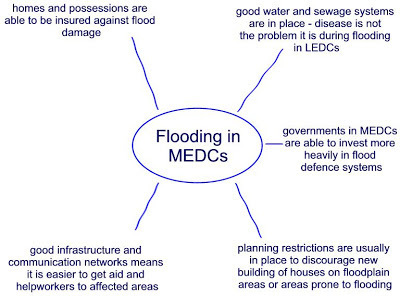 Governments in MEDCs are able to invest more heavily in flood defence systems - including channelisation projects; the construction of artifical levees and the development of prediction and warning systems.